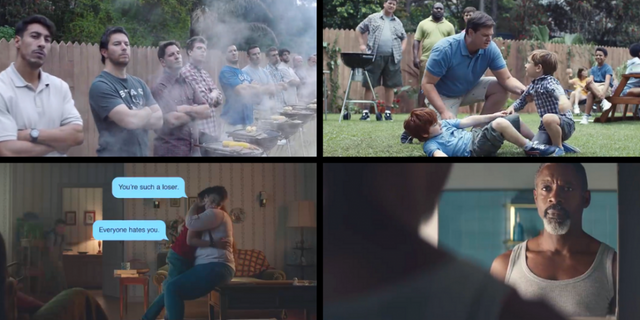 Gillette’s new campaign #TheBestMenCanBe certainly has created a media storm. The debate about whether they have the credibility to urge men to be better, to assess their behaviour and impact on society, rages on. Haters gonna hate. But the reality is that what we are seeing here is a massive brand attempting to change. Trying to be better themselves. And in doing so perhaps making their customers think a little too. But let’s be clear. Change does not happen overnight. Can you really expect a brand that has spent 35 years celebrating a stereotypical image of “the best a man can get” to get their new message completely right first-time? For the entire world to unanimously give them a standing ovation for nailing it first-time round? I’ve been trying to be "a better me" for quite a while now and it’s a process. There are stages to change. I didn’t wake up one day to suddenly be a better wife, mum, colleague, daughter, friend. It takes time , it takes courage, it takes trying different avenues, assessing them, admitting mistakes and trying again. We need to stop berating brands who are trying to be better and asking others to do the same. Is having a purpose already becoming a dirty word? Would we really rather these legacy brands refuse to acknowledge that the world is changing and hold on stubbornly to the old regime? The cynical among us may indeed perceive the reason for this change of heart as a drop in market share. And yes that may be a factor as Gillete’s has fallen from 70% in 2010 to 54% by 2017 (Source: Euromonitor). But Gillette are also donating $1m annually for the next 3 years to non-profits who also follow its values, so it’s swings and roundabouts. Change has to start somewhere and we need these superbrands to set an example of that journey to change. For it is a journey and one that many of us are only just beginning to embark on.